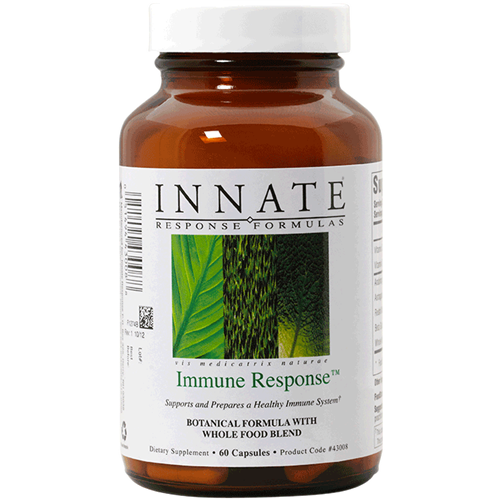 Immune Response™ represents the best in foundational immune support. 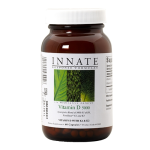 This formula has been designed specifically to take advantage of the immune supportive properties of some of the world’s most powerful botanicals and nutrients. The research-backed, active ingredients have proven to be multifaceted and when brought together are synergistic. 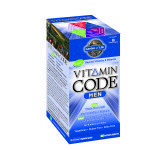 n nutritionally supporting the immune system. Beta glucans also have an important role in supporting the macrophages and the immune cascade, an innate physiological immune response. 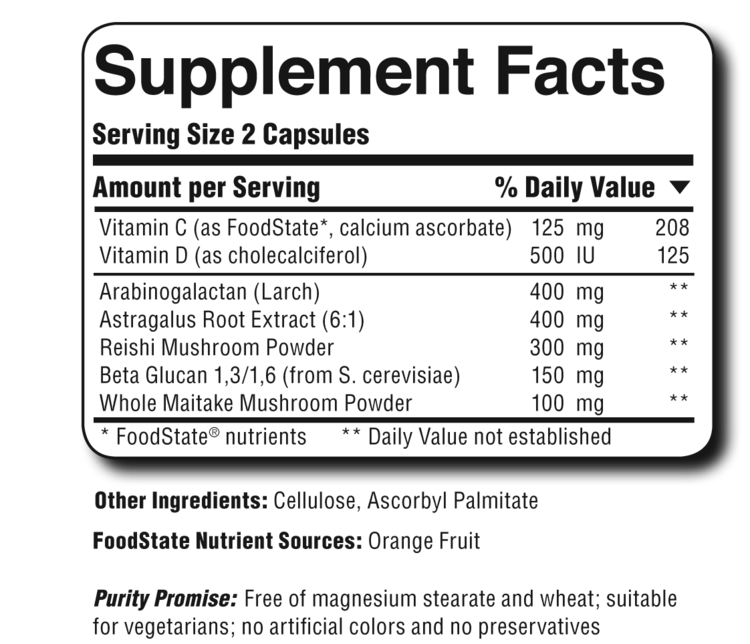 Astragalus, containing numerous components, including flavonoids, polysaccharides and triterpene glycosides combined with the complex polysaccharides present in the reishi and maitake mushroom have a long history of providing outstanding immune support. 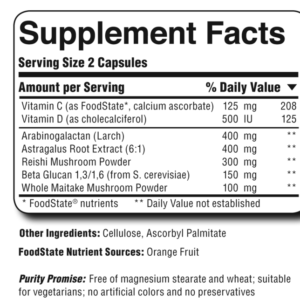 The arabinogalactan provides a two-fold benefit to the immune system; it provides essential prebiotic support while also nutritionally supporting Natural Killer Cells.